Camotes is a group of islands in the province of Cebu. Located on the northeastern part of Cebu, it is composed of 3 major islands and an islet. The major islands, namely: Poro Island, Pacijan Island and Ponson Island. The center for commerce is located in the municipality of San Francisco in Pacijan Island. 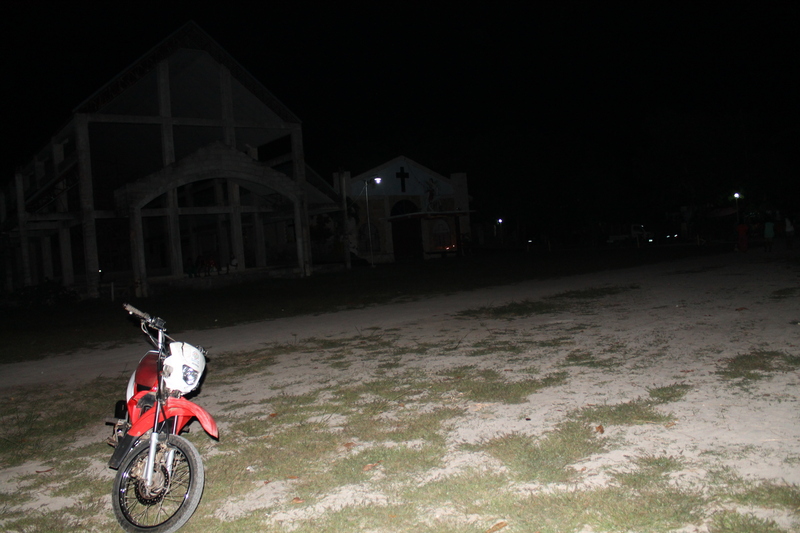 The easiest access to Camotes is the Danao- Camotes route. Jeepneys going to Danao from Cebu City are located near SM City Cebu. Fare is 40php/ person and travel would take almost an hour. 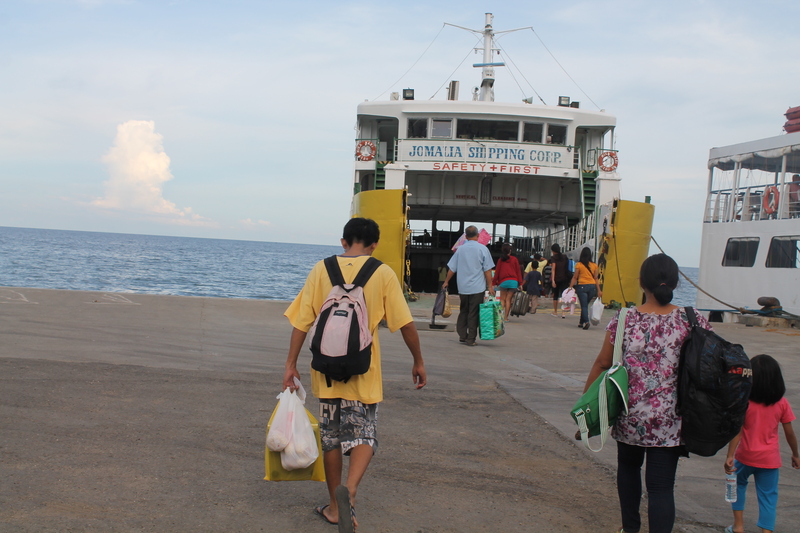 Tell the driver that you will be disembarking at the port for Camotes. FARE: 180php for non-aircon; 200 for aircon accommodation plus 10php for terminal fee. 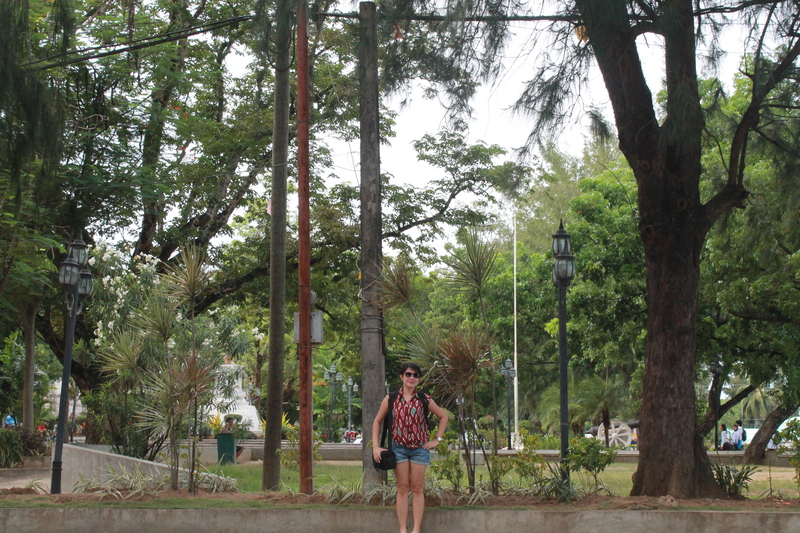 In our case, due to work schedules, we were not able to catch the 2 pm so we spent that leisure time exploring Danao City. 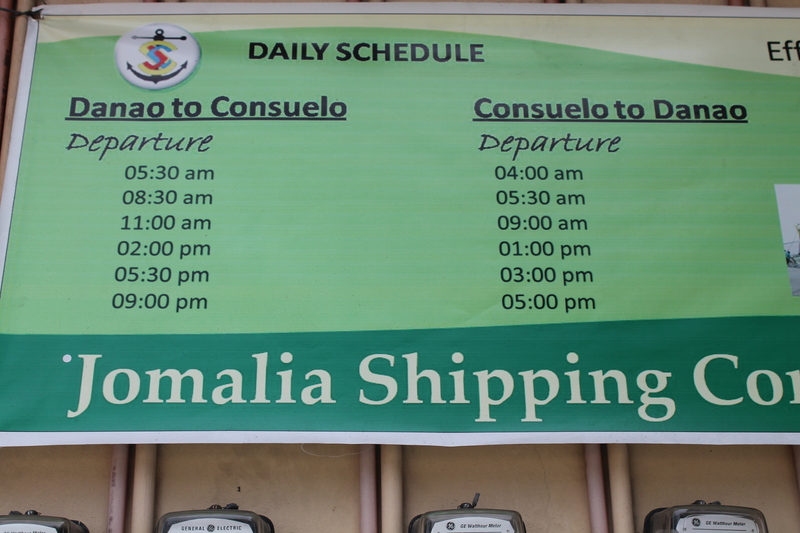 We got tired so we went back to the port just in time for the 5:30 pm boarding. I didn’t expect the ride to be that long. It took us two hours to reach Consuelo Port. It was already dark when we reached the island, yet upon disembarking, there were lots of habal-habal drivers still waiting for passengers. I was relieved since we didn’t have hotel transport and I was just relying on my research that passenger transports will be readily available at the port. It was Rolly, the habal-habal driver who took us to the resort. 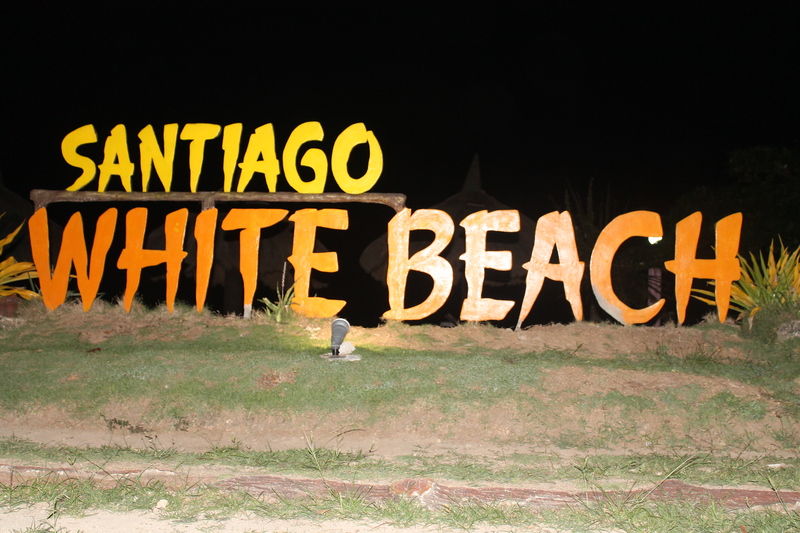 Fare is 50php each, travel time from port to resort is 20 minutes. 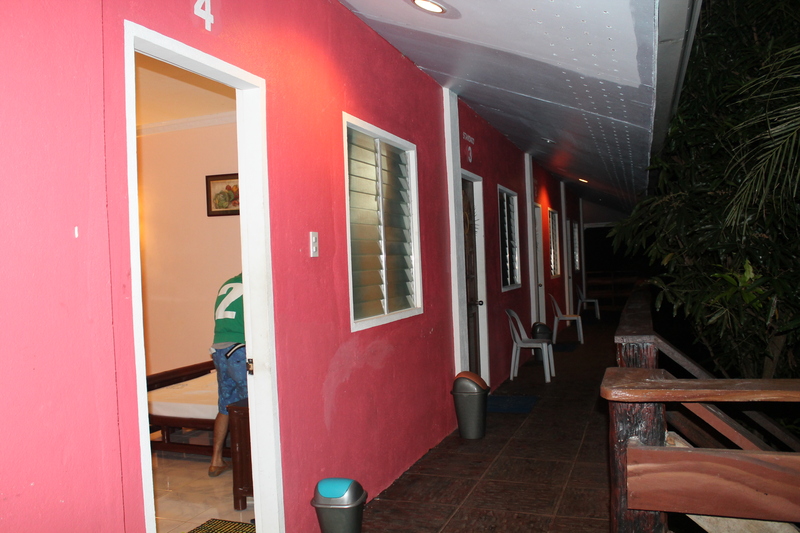 We stayed at the Santiago Bay and Garden Resort- Standard Aircon Room for two for 1500php. The room was clean and decent. The only drawback is that they don’t have complimentary breakfast. After settling down, we then headed for dinner. 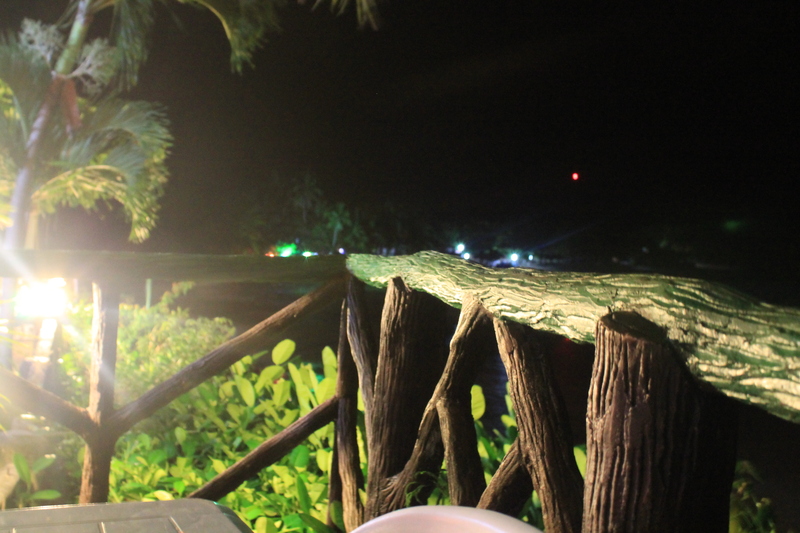 A friend recommended us to dine at Pito’s Sutukil located along the Santiago Bay. Since the resort was located on a cliff, we had to go all the way down the shore to eat. While waiting for our dinner to be ready, we opted to stroll along the shore and took some pictures. 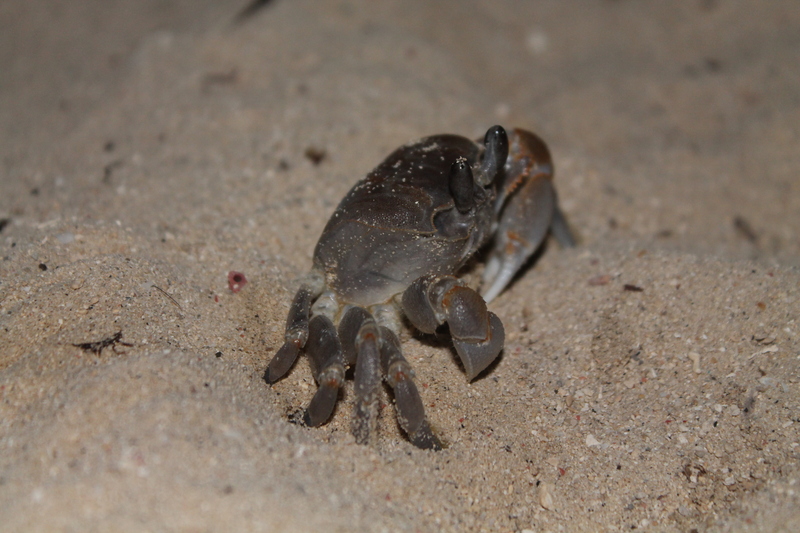 Found this along the shore. 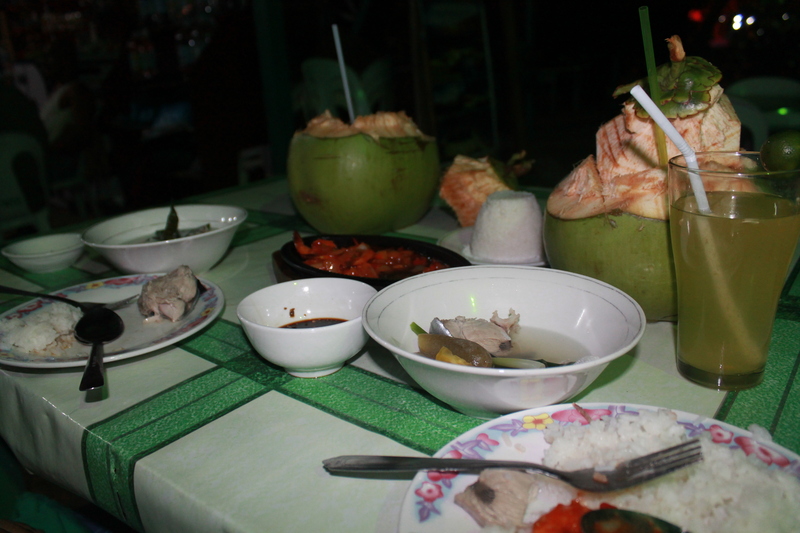 Our festive dinner for only 372php. Our dinner was a blast! 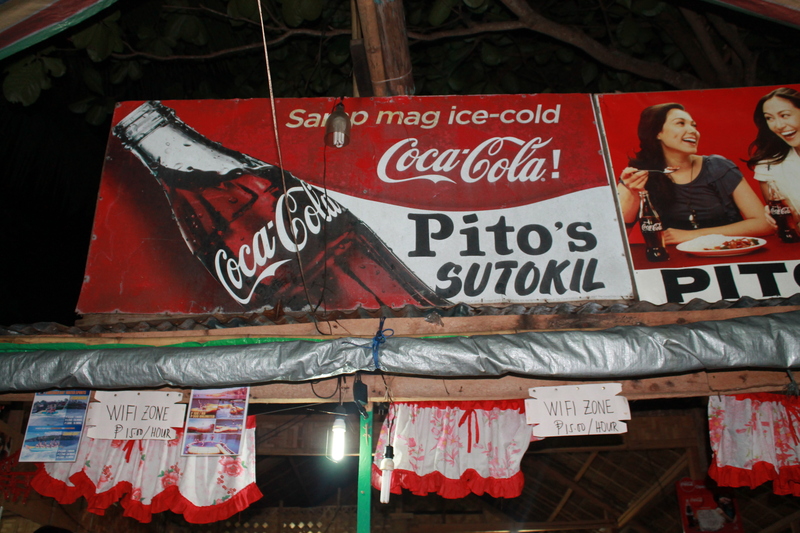 Pito’s Sutukil is a must try when you visit Camotes. Still full from all that sumptuous dinner, we headed back to the resort for a night cap.